The scientists of the Scientific-Research Center of Agriculture (SRCA) at the ministry of environmental protection and agriculture (MoEPA), improved skills in positive selection, seed potato degeneration and yield modeling during trainings of trainers (ToT) provided by CIP international experts and professor form university BOKU in May, organized two-days training in bases of positive selection for the representatives of MoEPA network – Farmers’ consulting centers, which includes 54 regional stations. 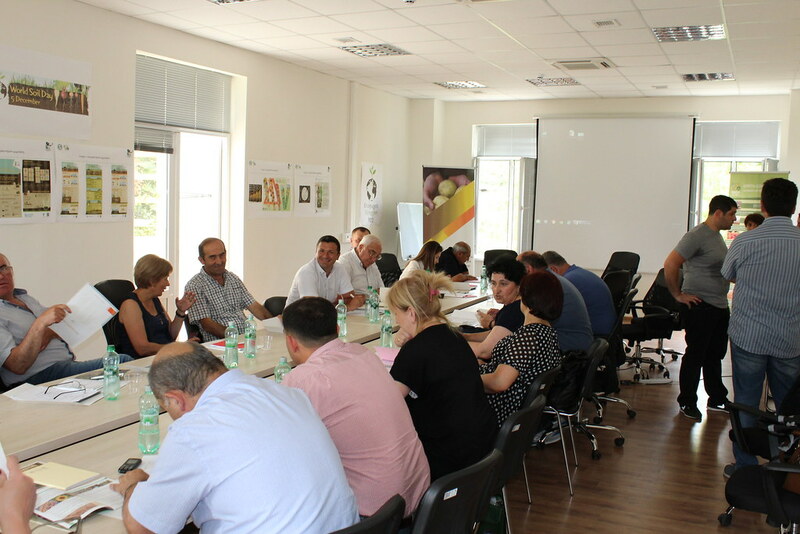 22 participants attended the training of trainers form 22 regions of Georgia. Educated trainers form regions will disseminate materials and technologies among farmers and train farmers in our region in future.